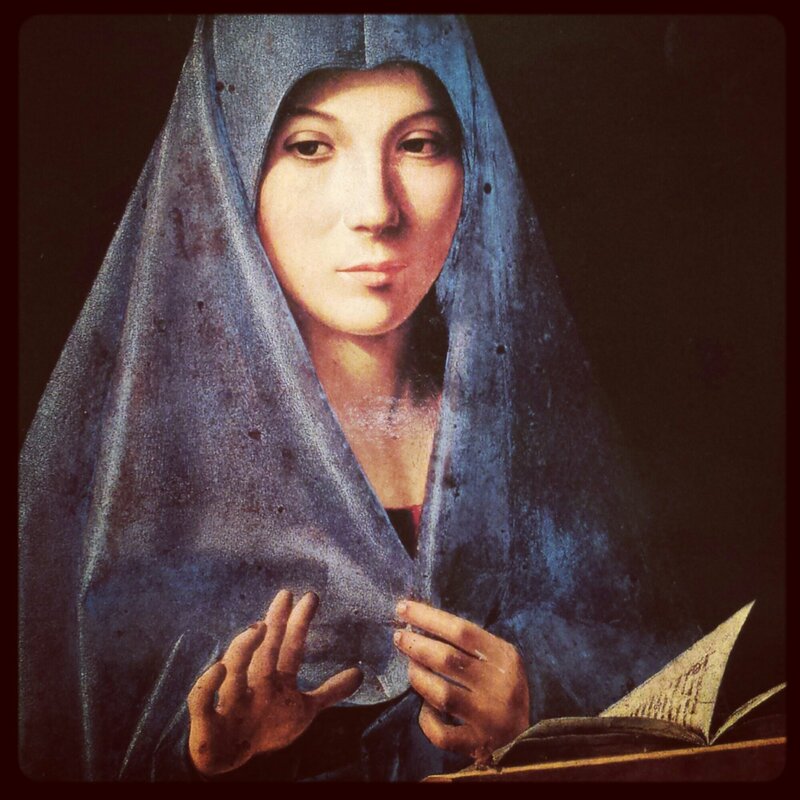 This exquisite work is “Annunziata” by Antonello da Messina (c1430-1479). Annunziata or “Virgin Annunciate” (March 25 is the feast day celebrating when the angel Gabriel told the Virgin Mary she’d give birth to Jesus.) may be seen at the Palazzo Abatellis in Palermo. It was painted towards the end of da Messina’s life around 1476 and is oil on wood. Da Messina, who was from Messina, is considered one of the foremost artists of his time. He was a master a capturing almost photographic realism of his subjects which seem to jump off the canvas (or wood, in this case).